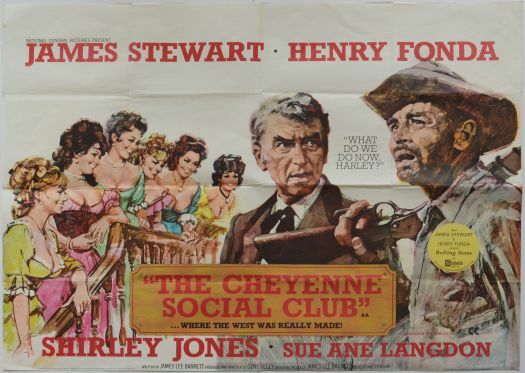 THE CHEYENNE SOCIAL CLUB isn’t a great movie, but it’s not a bad one, either. It couldn’t be; not with all that talent in front of and behind the cameras. You’ve got two legendary leads, James Stewart and Henry Fonda , Oscar winner Shirley Jones, Gene Kelly in the director’s chair, and John Wayne’s favorite cinematographer William Clothier . Still, the film, while amusing, should’ve been so much better. 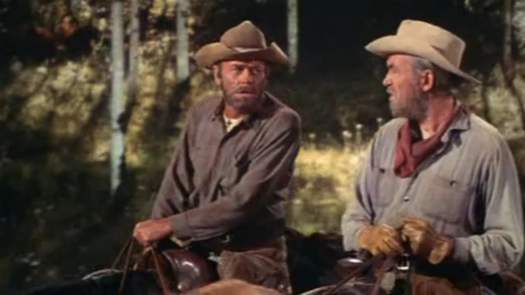 This entry was posted in Film, Film Review and tagged comedy western, Cracked Rear Viewer, Gary Loggins, Gene Kelly, Henry Fonda, James Stewart, National General, Shirley Jones, Sue Ane Langdon, The Cheyenne Social Club, Through the Shattered Lens. Bookmark the permalink.